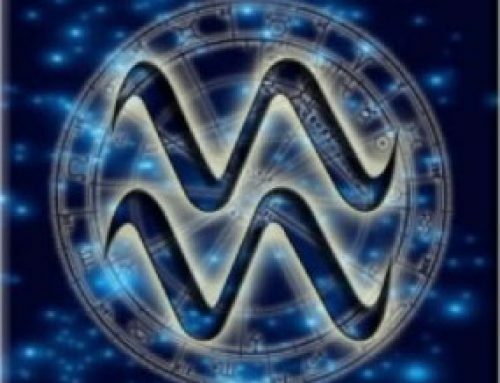 As you might expect, the dark face of Aquarius, the secret side which he often can’t face, springs from his complete dedication in ordinary life to his ethical codes. 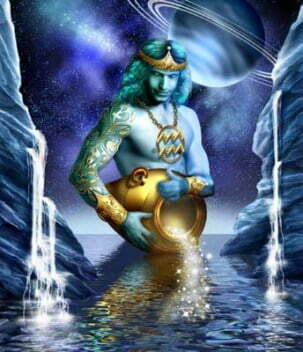 Where Aquarius consciously strives for selflessness, his shadow side is completely self-centred; where his dedication to others is often faultless in ordinary life, his shadow is dedicated to the upholding of his position of control. You can see the shadow side peeping through especially in those situations where Aquarius is on his ideological hobby-horse. Watch him corner the centre of the stage, and push anybody else off who happens to disagree with him. Usually reasonable to a fault, all that repressed longing to be somebody special in his own right sometimes drives him to rather odd behaviour. The result is that he frequently can’t practise what he preaches, especially in personal relations. Equality is fine for humanity, but not for you. There is also another side to the Aquarian shadow, connected with the first. This is his secret longing to be liked and admired by everyone – to the degree where he can often be pushed uphill against his principles for fear of what others think of him. It’s sometimes termed weakness of character, or wishy-washiness. And it’s rather surprising when you see it next to the kind of courage of conviction which is more usually his behaviour. What all this boils down to can be put into one rather unpleasant word: hypocrisy. This is the greatest danger, the greatest foible in the Aquarain temperament. He says one thing and often does another unwittingly. And it’s frequently those closest that suffer for it. Take his ideals of equality, for example. 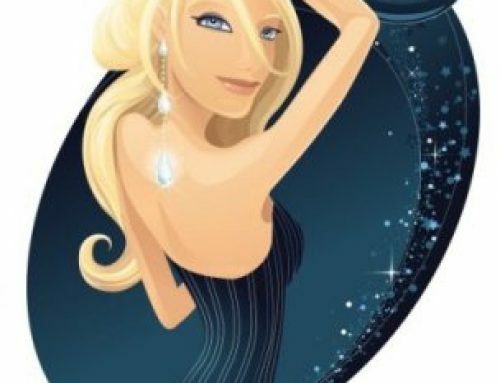 You’ll hear many Aquarians wax eloquent on this theme. 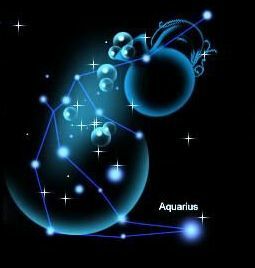 Whether it’s equality between races, or freedom to worship as one pleases, or equality of rights between the sexes, Aquarius can go on for hours on this theme, once he gets warmed up. But you’ll often see a pronounced inequality displayed in his personal life – especially toward those who display the emotionalism or irrationality which he so fears and despises. His wife, often is given no real ‘equality’ – he simply can’t be bothered to listen to anything which isn’t presented in a logical form. His children are often given no real ‘equality’ – their demands are too selfish, too emotional, for his taste. His real equality is reserved for verbal debate, when he will always offer his opponent the right to speak. But equality of heart is often difficult for him, because his concept of equality is limited to the realm of ideas and intellect. 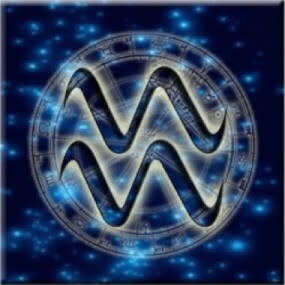 Another adjunct to this particular shadow side of Aquarius is his propensity to reform everybody. This, too, is contradictory to his belief that all people should be granted freedom of choice, so long as they agree with him. Watch a zealous Aquarian pursuing his pet subject – whether it is women’s liberation, socialism, distribution of wealth, ecology, or whatever. Usually his hobby-horses always concern the benefit of some group or other. But if you don’t happen to agree with him, you’re given short shrift. No equality for you. You’ve disagreed; and of course there’s only one truth, isn’t there? 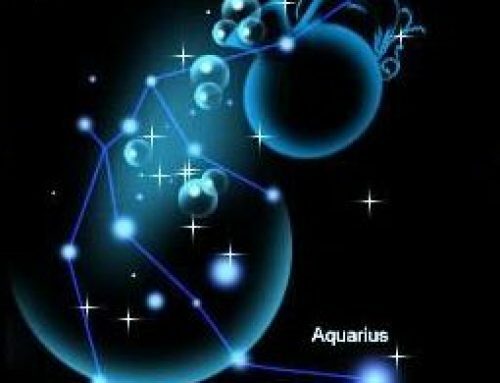 Often Aquarius can’t see the paradox in his behaviour. The epitome of it is in what Marx called Dialectic Materialism. Or perhaps in Democracy: government by the people, of the people, for the people. And if you don’t agree with it, then, by God, you’ll be made to. The innate contradiction in all this is very elusive to the Aquarian mind. The worker for whom the revolution is fought is coerced into a behaviour pattern and a life which he has not a jot of freedom – to pursue his own religious inclinations, his own creative enterprise, or his own freedom of speech. Yet the battle was fought for his freedom. It is pretty difficult to refrain from commenting on the hypocrisy of this attitude. Now, the hypocrisy of the Aquarian shadow isn’t deliberate. He genuinely doesn’t see it, doesn’t know about it. If he did, he would be abjectly shocked – because he doesn’t mean to be unfair. You might say that this strange shadow side appears because he’s so rigid in his expectations of himself and of others. His attempts to reform human nature are, in many ways, a projection onto others of his belief that he should reform his own. But he often doesn’t realize that all such attempts, like charity, must begin at home. Another facet to this is the practise-what-you-preach exercise. Aquarius usually doesn’t. This type of Aquarian is most in evidence in the learned professions. He knows a great deal about the maps, models, techniques, mechanisms and behaviour patterns of his favorite subject of study: man. But he often can’t learn these in application to his own behaviour patterns. Because he’s so often out of touch with his own emotions, they sneak up on him, and make him do things he doesn’t see or understand. Anger, resentment, jealousy, longing, need, helplessness, fear – the ordinary gamut of human foibles – are often things he will simply not acknowledge, because they make him nervous. He has them, the same as anybody else. He just doesn’t see them. But then, it’s typical of the shadow of every sign. You don’t always see the shadow you cast behind you, because the light is in front of you, and you’re busy looking at the light. Nobody has any testimony about what Mrs. Lincoln thought of her husband. Or what Mrs. Edison thought. We can only conjecture. But you can see the Aquarian shadow in a lot of places: the Aquarian politician campaigning for equality which he can’t be bothered to give the time of day (or any freedom) to his family, the Aquarian psychologist who knows all the theories but hasn’t spotted his own emotional needs, the Aquarian doctor who devotes his time and energy to his patients while his loved ones must find a clinic for treatment. The list is long. The solution? Like the shadow problems of all the signs, this one needs awareness. It also means that ideals, in order to be worth anything at all, have to be tempered with not only compassion, but with realism. 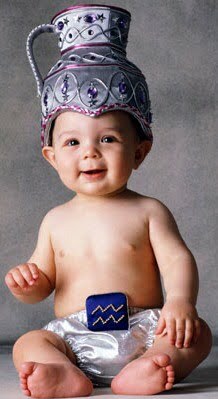 Human nature just isn’t perfect yet – certainly not perfect enough to behave in the fashion in which many Aquarians demand. Total selflessness is simply an impossibility. Like the other airy signs, Aquarius often doesn’t remember that though we have our heads in heaven, our feet are on the earth and our bodies have evolved up through the animal kingdom. 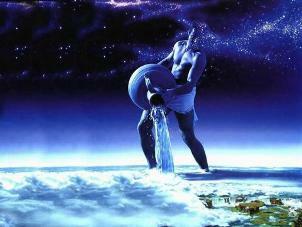 To Aquarius, man is not a dual creature; he is a son of the gods. 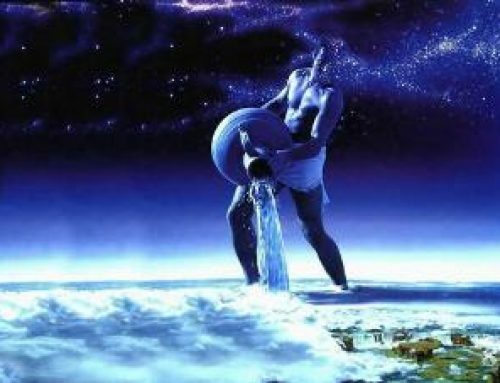 As Menande said, ‘the intellect in every man is God.’ When Aquarius understands that the feelings and the visions and the body of every man are god as well, then he can become what he truly is at heart: the visionary and the prophet, the server of the race, the contributor to the welfare of humanity in great ways or small.